Kalesh Lyrics in Hindi & Roman English – Millind Gaba feat. Mika Singh: The much awaited song that marks collaboration of singer-songwriter-producer Millind Gaba and King Mika Singh. 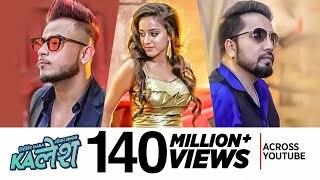 The “कलेश” song is sung, written and composed by Millind Gaba and its music video is directed by DirectorGifty. हर Situation को Face करूँगा रे..